In Westfield W-League Week 8 action—Brisbane is alone at the top of the table after a 2-0 win over champions Melbourne City; Kerr scores a hat trick in Perth’s 3-3 tie at Newcastle. In a battle between two sides tied for the league lead entering the weekend, Newcastle Jets came away with a share of the points after a 3-3 home draw versus Perth Glory in front of a crowd of 3,210—the highest of the weekend on December 16th. 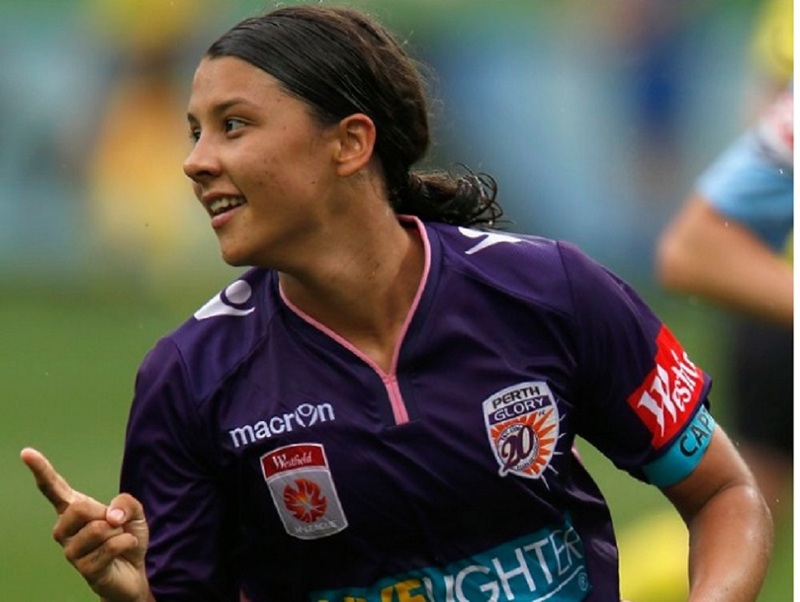 Australian international forward and NWSL Most Valuable Player Sam Kerr (Sky Blue FC) scored her first hat trick of the W-League season within nine minutes late in the second half, surpassing her teammate and Orlando Pride American loanee Rachel Hill for the league lead in scoring (8 goals versus 7). However, it was a late own-goal from Perth defender and former Australian youth international Sarah Carroll deep into injury time that prevented the Western Australian side from taking full points. Arin Gilliland (Chicago Red Stars) and Katie Stengel (Boston Breakers) each scored once for the Jets and both now have 5 goals on the season. For the NWSL loanee contingent, Tori Huster (Washington Spirit), Britt Eckerstrom (Portland Thorns), Gilliland and Stengel played all 90 minutes for the home side. For Perth, Amanda Frisbie (Boston Breakers), Nikki Stanton (Sky Blue FC), Costa Rican international Raquel Rodriguez (Sky Blue FC), Hill and Kerr all played the entire game. In another top of the table clash, host Brisbane Roar (tied for first with 12 points as of last weekend) defeated Melbourne City (fourth with 10 points) 2-0 in front of a strong crowd of 3,204 on December 17. It was the first time City had been shut out all season. Allira Toby and Katrina Gorry scored the second half goals for Brisbane. 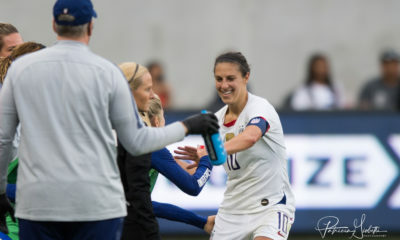 Australian international forward Haley Raso and midfielder Celeste Boureille (both Portland Thorns) and defender Carson Pickett (Seattle Reign) played the entire game for Brisbane, as did Gorry, the former FC Kansas City forward who now plays with Vegalta Sendai in Japan. Emily Gielnik, who played this summer in Norway with Alvadsnes and once played for the Ottawa Fury in the now defunct W-League, subbed on for the last 9 minutes. Hong Kong international forward Cheung Wai Ki was replaced on the hour mark, for the goal scorer Toby (23), who is in her third year in the league and leads her club with three goals this season—more than her two in 22 games for Adelaide and Brisbane entering this season. For City’s NWSL loanees Lauren Barnes, Rebekah Stott, Lydia Williams and Jess Fishlock (all Seattle Reign) plus Steph Catley, Alanna Kennedy and Ashley Hatch (all Orlando Pride) all played the entire match, with Seattle’s Australian international Larissa Crummer subbing in for the last 17 minutes for Kyah Simon, the ex-Boston Breakers forward. Former Australian international midfielder Aivi Luik—in her third year with City after joining a few weeks ago after her Norwegian campaign finished with Valerenga and played at the University of Nevada-Reno and for years for FC Indiana—also was on the field the full 90 minutes. Japanese international defender Yukari Kinga, who played last season with Canberra and previously for a short time with Arsenal, also played the entire game. Sydney FC won its fourth consecutive game on December 15 with a convincing 3-0 defeat of Canberra before an impressive crowd of 2,958 in Sydney. The Sky Blues had started the season with three consecutive defeats, but are now playing confidently during their four game winning streak—three of which have been at home—and look to be well-placed for a semifinal spot, their tenth in ten W-League seasons. 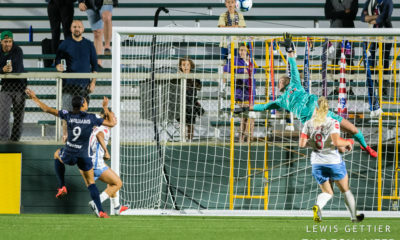 Veteran Australian international and former NWSL and WPS forward Lisa De Vanna scored twice while Canberra’s American defender Toni Pressley (Orlando Pride) put one through her own net early in the second half to seal the win. 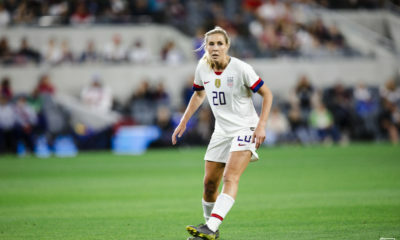 American international Emily Sonnett (Portland Thorns) played the entire match for Sydney while Caitlin Foord (ex-Sky Blue FC in 2013 through 2015) substituted in for De Vanna in the 69th minute. De Vanna now leads her club with 4 goals on the season. 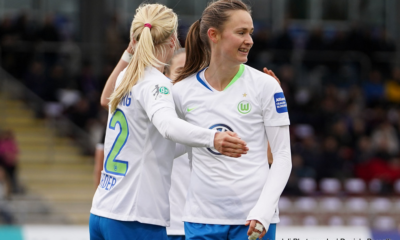 For Canberra, goalkeeper Haley Kopmeyer (Seattle Reign) and Pressley played 90 minutes. Canberra could find themselves out of the playoffs for only the second time in their ten year history in the W-League. With the win between the two sides entering the match tied for fifth, Sydney vaulted into third on 12 points. 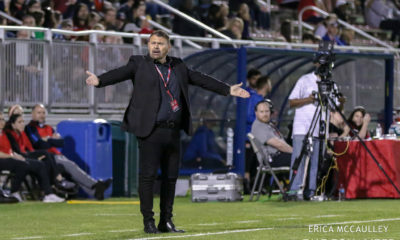 In a match-up between the teams at the bottom of the table on December 15, Makenzy Doniak (North Carolina Courage) scored her team leading fifth goal of the season but it wasn’t enough as Adelaide fell at home to Western Sydney Wanderers 2-1, to leave the Harbor City side still with a chance of making the playoffs for the first time ever. Western Sydney’s goals came from two of their European imports, former Dutch international forward Marlous Piette of the Netherland in the 23rd minute and Israeli international midfielder Lee Falkon in the 72nd minute, both being their first goals in Australia. Falkon, who’s mother is American, is on the Israeli squad in the midst of UEFA Women’s World Cup qualifying. They advanced earlier this year to the final stage, finishing ahead of Moldova on goal differential (+9 to +6) after their 0-0 deadlock while both sides defeated host Lithuania—against who Falkon scored—and Andorra. Israel has found the going much tougher in the final group stages, with no points in Group 7 against Austria, Finland, Serbia and Spain. Falkon has played in Germany and Denmark professionally. American Lo’eau LaBonta (on loan from FC Kansas City/Utah Royals) played the entire match for Western Sydney. For Adelaide, NWSL loanees Danielle Colaprico, Alyssa Mautz, Katie Naughton (all Chicago Red Stars) and Doniak played the full 90 minutes. Melbourne Victory was idle this week. Brisbane Roar tops the W-League table with 15 points, with Perth Glory and Newcastle Jets tied for second with 13 points, one ahead of Sydney FC. Melbourne City fell one spot to fifth on 10 points, followed by Canberra with 9 points. Melbourne Victory and Western Sydney are two points further behind in seventh with 7 points and Adelaide is last with 4 points with 1 win and 1 tie in 6 matches.